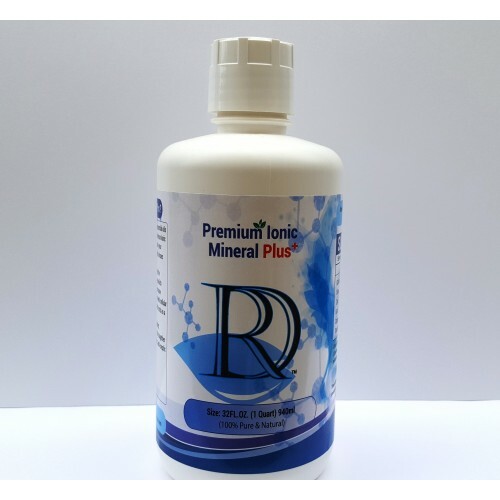 Premium Ionic Minerals Plus is designed to help not only to maintain a healthy living but also to strengthen the immune system to fight off colds and viruses. We start with our 78 trace minerals Premium Ionic Minerals, additional crystalline nano minerals are added to help the body in several areas , for example Silver is added as an antibiotic, Gold, Zinc, and Indium to help the immune system, energy and brain functions, Copper to help red blood cells, Iridium and Rhodium to help with cellular metabolism, and Ruthenium which acts as a superconductor. A special blend of pure essential oils is added; cinnamon, clove, orange, oregano and rose. These oils together all have antibiotic, anti-bacterial, anti-parasitic, antiseptic and other healing properties. Ingredient: Antimony, Molybdenum, Neodymium, Barium, Nickel, Beryllium, Niobium, Bismuth, Osmium, Boron, Palladium, Bromine, Phosphorus, Platinum, Calcium, Potassium, Carbon, Praseodymium, Cerium, Rhenium, Cesium, Rhodium, Rubidium, Chromium, Ruthenium, Cobalt, Samarium, Copper, Scandium, Dysprosium, Selenium, Erbium, Silicon, Europium, Silver, Sodium, Gadolinium, Strontium, Gallium, Sulfur, Germanium, Tantalum, Tellurium, Hafnium, Terbium, Holmium, Thallium, Indium, Thorium, Iodine, Thulium, Tin, Iron, Titanium, Lanthanum, Tungsten, Vanadium, Ytterbium, Lutetium, Yttrium, Magnesium, Zinc, Manganese, Zirconium . a special blend of pure essential oils, cinnamon, clove, orange, oregano, and rose, additional crystalline nano minerals like Silver, Gold, Zinc, Indium, Copper, Iridium, Rhodium, Purified Distilled water, zeolite.